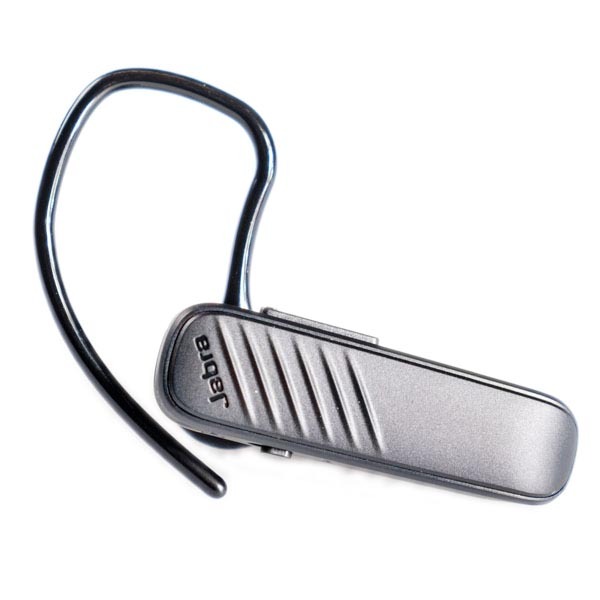 The best Bluetooth headset should let you both send and receive calls, with crisp sound quality and enough battery life to get you through a full workday. Style is a personal preference: An in-ear piece lets you stay aware of your surroundings, while an on-ear headset helps block them out. But either design should be comfortable enough to wear for hours at a time. We began by gathering all the Bluetooth headset models that we could find, pulling from manufacturers’ pages plus Amazon listings. We only considered headsets designed to let you make and receive calls (if you’re more interested in listening to music, check out our favorite Bluetooth headphones instead). We also excluded Amazon listings from manufacturers without their own websites — this is often a signal of low-quality products from fly-by-night companies. We came up with a starting list of 42 Bluetooth headsets, ranging from $12 to over $400. A standard business day is eight hours. Whether you regularly sit in on back-to-back meetings or work in a call center or help desk environment, a battery life any less than that can cause you to come up short before your day is over. So we cut all headsets that didn’t offer at least eight hours of talk time per charge. This eliminated 18 models. 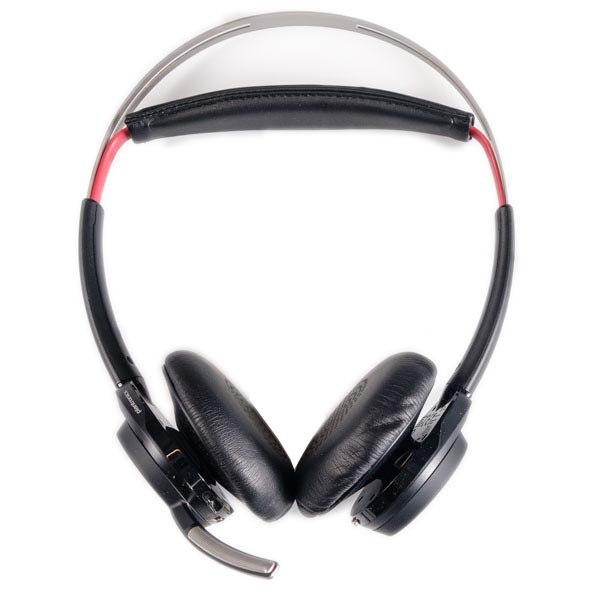 Bluetooth headsets work by connecting to a master device, like your cellphone or laptop, which transmits your call data. To avoid dropped conversations, the headset needs to maintain its signal to this master device. Theoretically, if your headset is paired with your cellphone, this is never a problem: You can go anywhere as long as you keep your phone in your pocket. 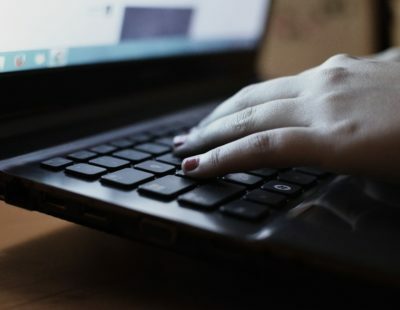 But if you work from home, or in a non-traditional office setting, there are plenty of scenarios in which you might want to move away from your master device. Maybe you just want the freedom to wander to the kitchen more easily, or to go outside while your phone or laptop stays safe in the office. One of our testers uses his headset while working on cars in his garage — he told us he likes the ability to leave his master device on a workbench where it can stay clean. In short, we wanted our top picks to give people the freedom to maintain their preferred work habits without worrying about signal breakup. A 60-foot range is about the length of an average ranch-style house, giving you plenty of space for pacing and coffee breaks. We cut anything with a lower range. Finally, we took each of our finalists out for a spin. At this point, we were left with only four brands — Plantronics, Jabra, Sennheiser, and BlueParrott — and 16 models. We ordered BlueParrot’s sole finalist, the VXi S450-XT, and from the other brands chose two to three models apiece, aiming for the widest range of price points and styles, from the $30 Jabra Talk 2 to the $400 Jabra Pro 9470. Setup for most of the eight was straightforward. We paired our headsets to an Android phone; turning on each headset triggered it to look for Bluetooth-friendly devices in the area, and most used voice commands to let us know if the pairing was successful. Our testing team — a Bluetooth newbie at the calling end (Tester One), and a tech-savvy receiver at the other (Tester Two) — then assessed wireless range. Tester One made a call with each headset, leaving her cellphone in her office and walking away to monitor how far she could go before the signal began to break up. Tester One ran a vacuum for several minutes during each call to see how the noise cancellation responded. Tester Two reported hearing a slight hesitation before the ANC kicked in on most models: a brief moment where the vacuum could be heard clearly, before the noise reduction recognized it as superfluous noise and it receded into the background. 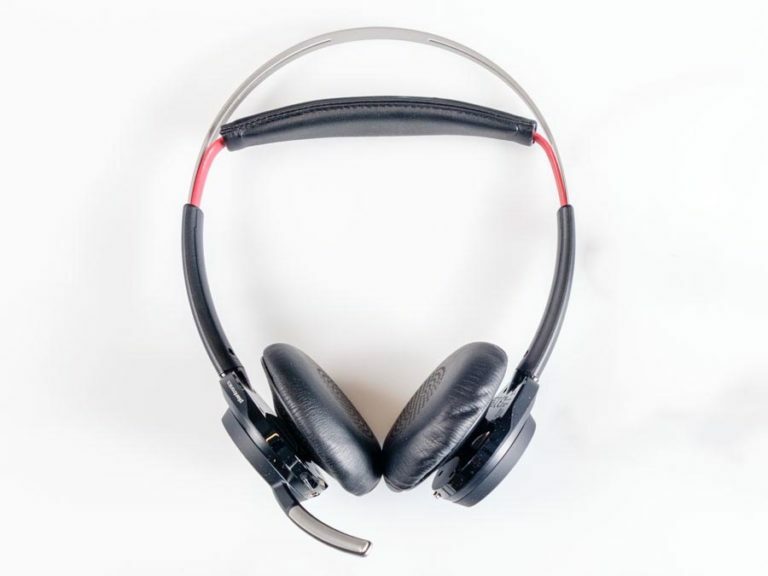 The testers then read a short script with a range of consonant and vowel sounds to each other over the phone, keeping notes of the voice quality and the comfort of each headset. During voice tests, the Sennheiser Presence Business performed well, with both tester’s voices remaining clear and easily understood. We noticed a slight clipping of words, like the mic was switching off between sentences, but this didn’t impede the conversation, and we preferred it to the sound quality of the Jabra Talk 2 and Plantronics Voyager 3200 UC, which both manufactured a slight echo — as if the speaker had a bucket over her head. 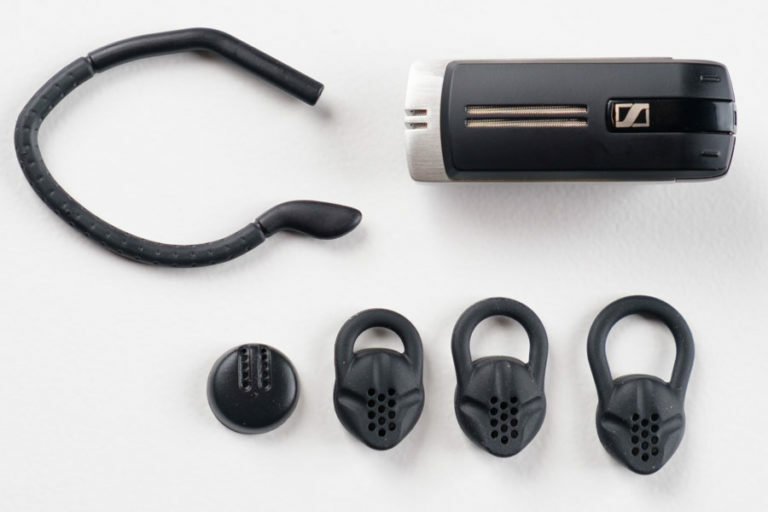 The active noise cancellation on the Sennheiser Business also performed admirably: Background noise was there for a second, and then it wasn’t, as two additional mics (for a total of three) screened it out. 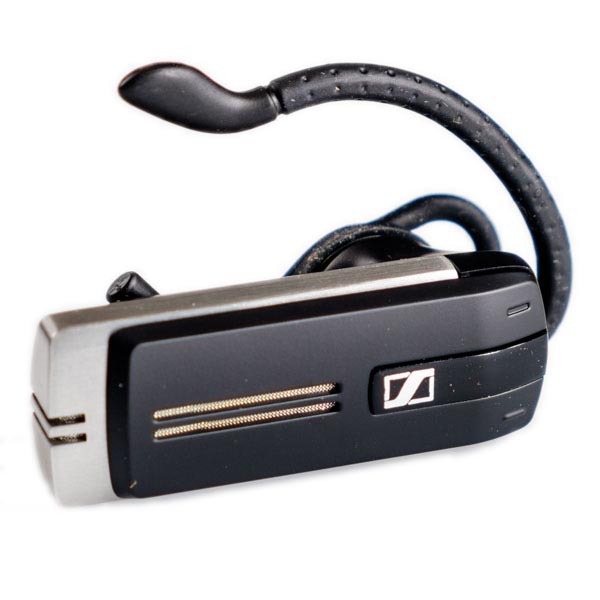 The Sennheiser Presence comes with an ear hook, plus multiple gel inserts for a better fit with your ear. 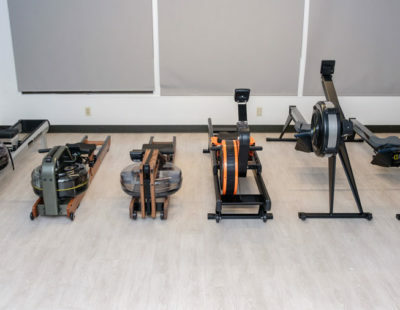 Using the headset is simple, although it’s worth noting that none of the models we tested included a full user’s manual in the box — you’ll need to go online to get detailed instructions. 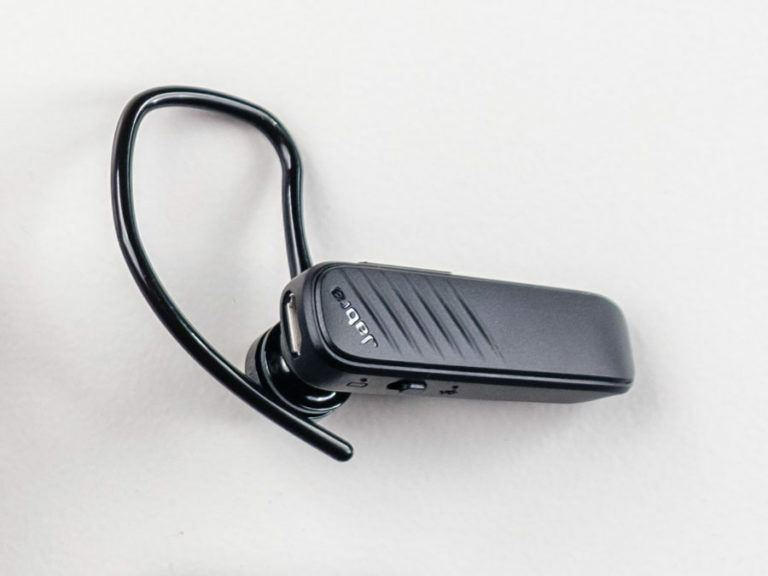 The earpiece turns on and off via an end-cap that slides out, and most other tasks, including answering and ending a call, are handled by a multi-function button on the front panel. We preferred this layout over the design of the Plantronics Voyager, which has a tiny, sticky on-off switch that we had trouble operating. The Sennheiser (right) is a lot easier to turn on and off than the Plantronics Voyager. The manufacturer claims the headset will transmit a clear signal up to 80 feet, and although we only made it to about 60 before the signal broke up, you can certainly move around and go get coffee while sustaining a phone conversation. Our only quibble with the Sennheiser is its button placement. The button is on the front of the device rather than the side, and when you press it, it’s easy to push the earbud farther into your ear unless it’s well-seated. That said, the Sennheiser does come with multiple gel ear inserts so that you can find a snug fit and reduce slipping. The Voyager Focus was by far the most comfortable of the dual-ear options we tested, even after several hours on a hot day. Nicely padded ear pieces fit snugly on our ears, and the headset felt lighter than BlueParrot’s offering, which totally covered our ears and left them feeling warm and sweaty after a couple of hours. At 155 grams (about the same weight as an orange), the Focus is also considerably lighter than the other on-ear headsets we tested. We had no trouble being heard and understood with the Voyager Focus, and the active noise cancellation, driven by three mics, made the sound of the vacuum running two feet away completely disappear, outperforming even the Sennheiser Presence. The Voyager's sound quality also beat out the Jabra Evolve 75, which started breaking up at 30 paces — and introduced slight but definite static on both ends of the call. Plantronics claims that you’ll have 98 feet of wireless range, and the headset performed flawlessly up to the 60-foot edge of our testers' yard. A dial on one earpiece lets you control volume — plus play, pause, and track forward and backward if you’re listening to music. A boom mic on the other earpiece can pivot in multiple directions. In fact, the earpieces themselves also swivel. This means there isn’t a “wrong” way to wear the Voyager Focus: It can be configured so that the controls and boom mic are on whichever side you want. We preferred the Voyager's lightweight ear cup, left, to the overly snug fit of the BlueParrot. The Voyager Focus is feature-rich: A mute alert gives you a signal if you try to talk while your mic is muted, and if you want to listen to music between calls, the headset also pauses automatically when the phone rings. The superior comfort and sound quality on the Voyager Focus come with a steep price tag of $172. That said, on-ear Bluetooth headsets are generally more expensive than in-ear models. The four on-ear headsets we tested went for an average price of $194.77, while the in-ears were only $115.48. In short, this headset may be inexpensive, but it’s not cheap. For less than $30, you get, in addition to the in-ear headset itself, one detachable ear hook, two ear gels, and a micro-USB cable. It’s light (8.5 grams) and fits firmly in the ear, even without the included ear hook. While we might not wear it for a strenuous workout at the gym, we wouldn’t hesitate to take it to the grocery store or for a walk in the neighborhood — it isn’t likely to fall out with normal use. For those on a limited budget — or the occasional user who doesn’t want to spend a lot of money on their headset — the Jabra Talk 2 has a lot to offer, even without all the bells and whistles. One charge gives you 9 hours of talk time, and the Jabra has all the phone-related functions that other earsets offer: answering/ending calls, last number redial, volume control, mute, and voice dialing (depending on your phone and network). The one-year warranty is fairly standard, if not exactly generous, and the model did well in our tests, receiving and sending a clear signal to about 40 paces, and relaying voices adequately, though with a bit of a head-in-bucket echo. The Talk 2 does offer one extra that our other picks skip: The headset has the ability connect with Siri or Cortana. If you want to check the weather or get directions on the go, the Jabra Talk 2 has you covered. One of the things you do lose with this product is the multi-mic active noise cancellation technology. That said, we were pleasantly surprised when the Jabra Talk 2 didn’t do too badly in our vacuum test. Yes, you could hear the vacuum as a low sound in the background, but the mic still picked up the tester’s voice and transmitted it clearly. Unified Communications (UC) technology refers to the ability to use your headset for multiple communication channels — without additional third-party software (or swear words) as you try to get your accounts to play nicely with each other. If you want your headset to switch frequently and easily between Skype, Lync, Jabber, VoIP, videoconferencing, and other communications services and abilities, you should look for UC technology. That said, headsets with UC are usually more expensive, and not everyone needs or wants this functionality. Half of the models we tested included UC capabilities, and we paid attention to that in our ratings. But we didn’t limit our choices to just those headsets because, frankly, not everyone needs UC. If you frequently use your Bluetooth headset in a restaurant or cafe, moving car, or other noisy venue, the person at the other end of the line will find it hard to hear you without active noise cancellation technology. Headsets with ANC are equipped with extra microphones (in addition to the one that picks up your voice) that listen for ambient external noise, like the hum of voices in a coffee shop or the sound of heavy traffic. The headset processes this noise and creates a sort of mirror image of the sound waves — similar to a photo negative — that feeds into your speaker at almost the same instant as the original noise. This mirror image cancels out the ambient sounds, and the headset transmits only your voice, with possibly a faint hint of background noise. ANC has limits: It works best with lower-frequency, steady noises like an air conditioner running in the background or a lawn mower outside your window. It’s not as good with uneven, staccato noises like a dog barking. It also raises the price of your headset — our $30 budget pick from Jabra is so cheap in part because it doesn’t offer active noise cancellation. Although ANC makes it much easier for your call recipients to hear you, it doesn’t shield you from the noise. 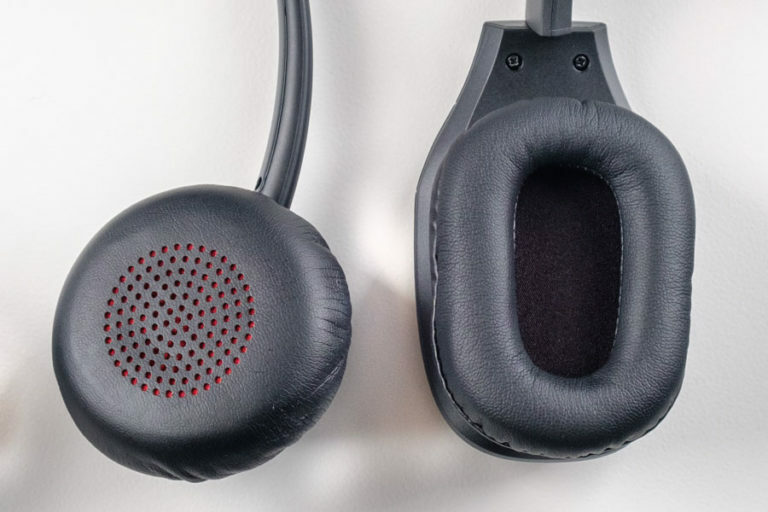 If you want to deaden the hubbub for your own sake, passive noise cancellation is a better bet. This term refers to the noise-deadening materials used in most over-the-ears headsets, and it's low-tech enough to be a lot cheaper than ANC. Where does the Bluetooth name come from? “Bluetooth” is an Anglicized version of the name of a 10th century Scandinavian king, Harald Bluetooth, who was known for his leadership and his ability to unite tribes. The creators of Bluetooth hoped their technology would have a similarly unifying effect on electronic devices by allowing them to connect and communicate with one another. Is it legal to use Bluetooth while driving? Currently, no state has outlawed the use of hands-free headsets in the car, but The National Safety Council points out that even though your hands are free, your brain is still distracted: The brain activity from the portion of your noggin that processes moving images decreases by about 33 percent when you’re holding a phone conversation. We’d encourage you to hold your calls until you’re able to pull off the road. Can Bluetooth headsets connect to two devices at once? Most Bluetooth devices — including all of our top picks — can pair with at least two devices at the same time. If you’re connected to your phone and computer and receive a call, your headset will automatically detect where it’s coming from and connect you with the right device. 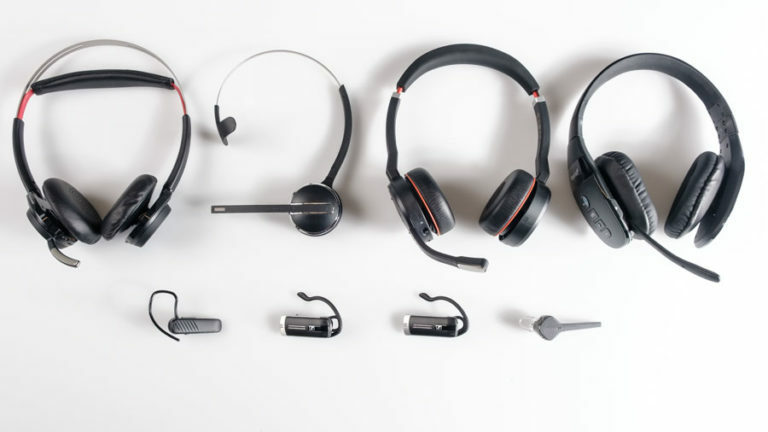 Many headsets can pair with up to eight devices, although it’s unlikely you’ll have that many devices to connect to.